On Wednesday night, our team had our opening night for our solar business. 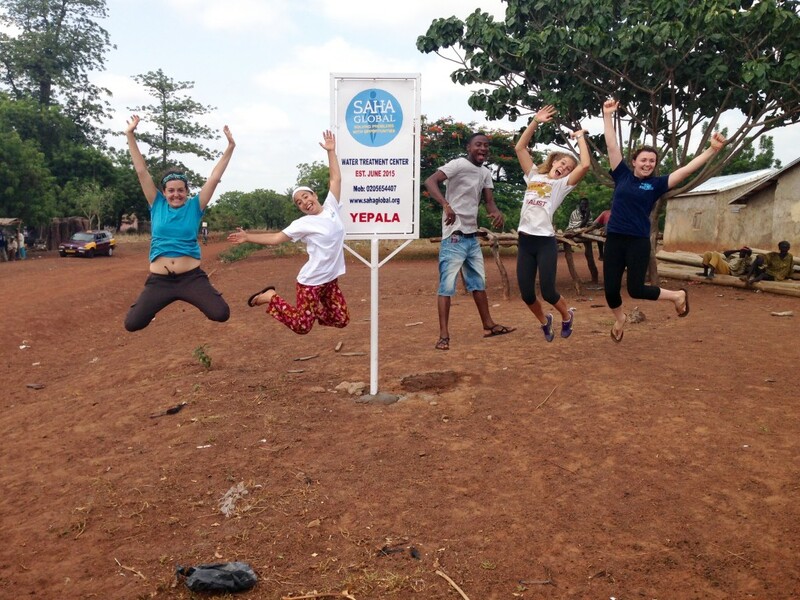 We were so excited to finally get our village’s business up and running after two weeks of building and preparing. 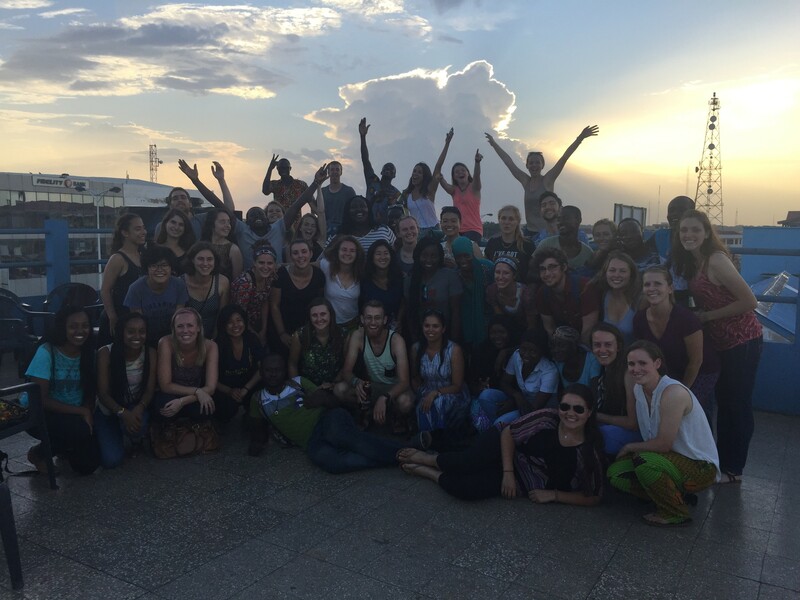 When we arrived a couple hours before sunset, we had a few glitches to work out and quickly dealt with the issues with our entrepreneurs Mazara and Adam. Once all 69 batteries were charged we were ready to officially begin. 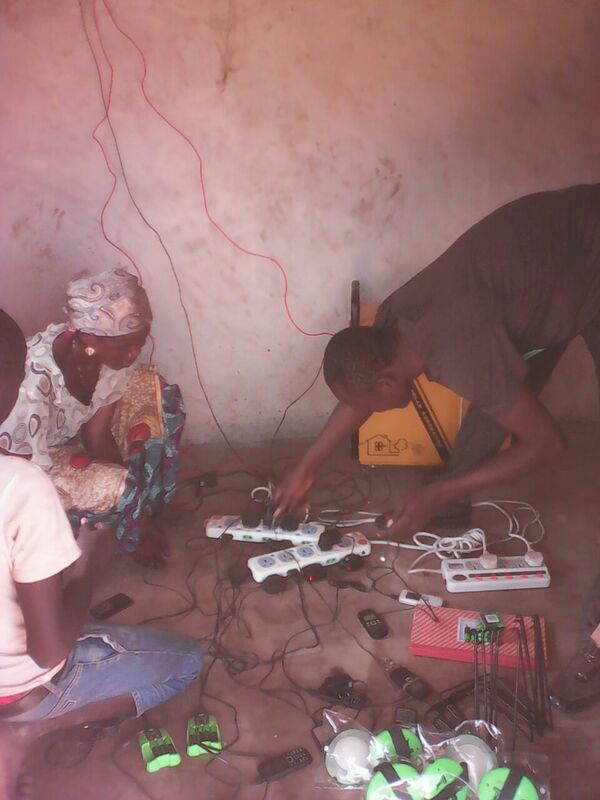 So many people from the village came out and gathered around to receive their batteries and charge their phones. It was during opening night that we truly realized the impact of our work. The loud cheering of the children as their mom switched one setting of brightness after another brought only more excitement. 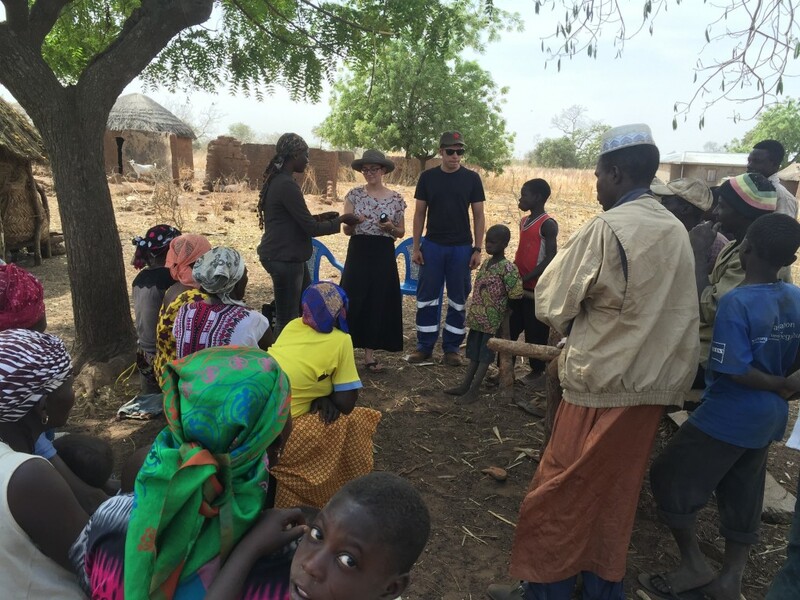 Walking around the village, we saw how much the new lanterns we provided really improved their lives. 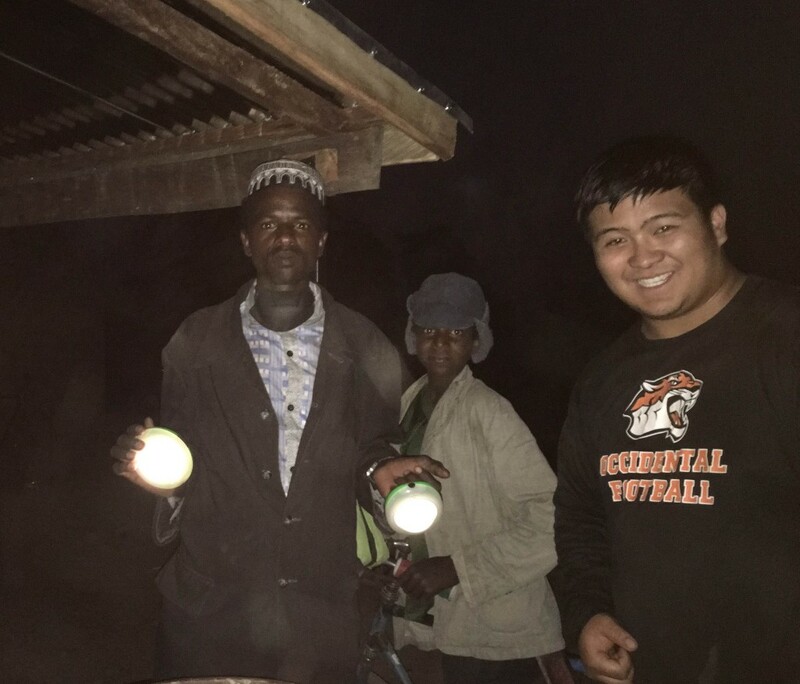 Those using their old lanterns and flashlights did not shine as bright as the ones we have provided. It was also less convenient to use as it usually required another person to hold the light. 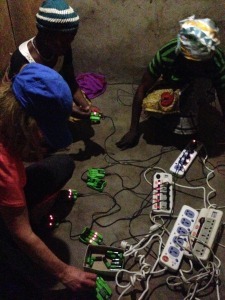 As more people came to rent batteries, one by one, each compound became lit and vibrant. Sounds from afar in the serene village night were the women pounding fufu and the cracking sound from the fires in the lighted compound. Even though we had a rough start, the overall opening night was very successful. Our team was able to work with our entrepreneurs and quickly fix the problem. As a result, 18 people came out of 23 compounds and 5 people got their phones charged. 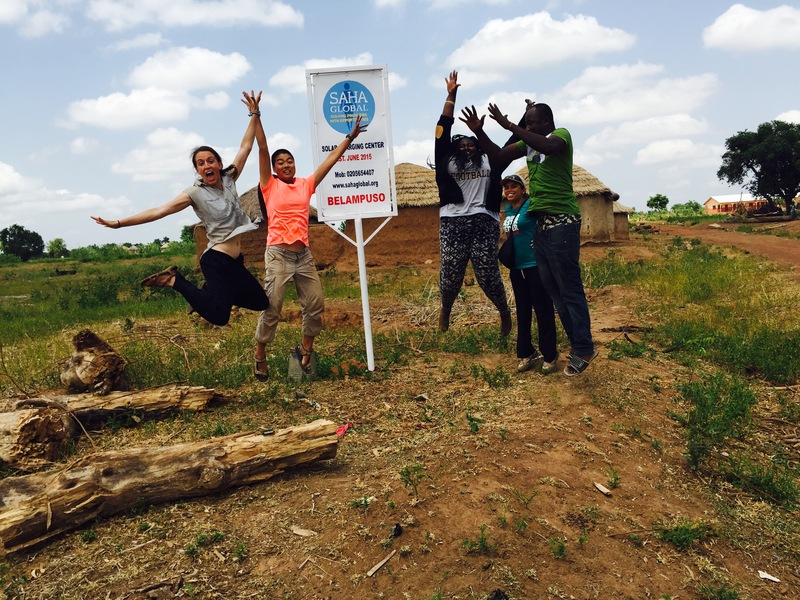 Our team is so happy to have been able to bring this important resource to the village. 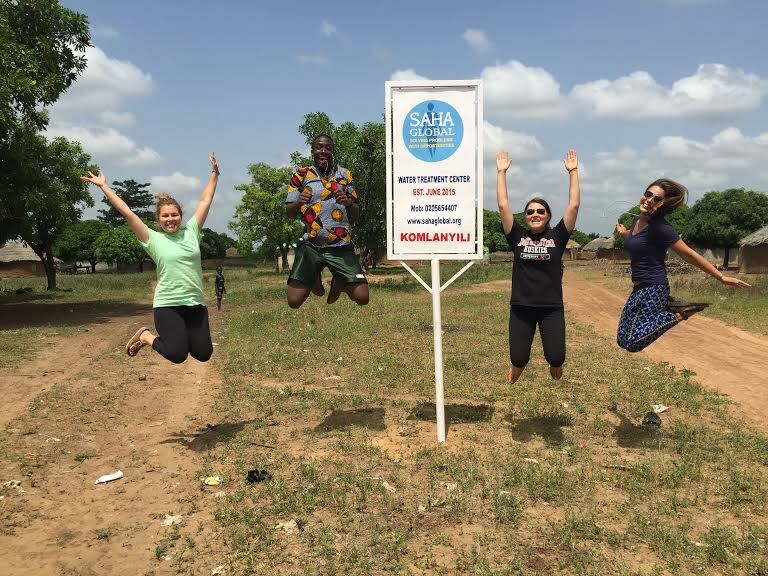 After an amazing three weeks in Ghana, the Saha US Team and the Summer Field Reps are all a little sad to be back home to our “normal” lives in the States. Luckily, we have a chance to go back and re-live our summer program through this final blog post from Team Sharifa! Our apologies for the delay in this post, but we promise it will be worth the wait! After opening our solar business in Yakura on Tuesday, we spent the next few days monitoring (checking on lantern usage and answering questions). This morning, the community bid us farewell with an incredible dance ceremony, even allowing us to participate in several of the dances. 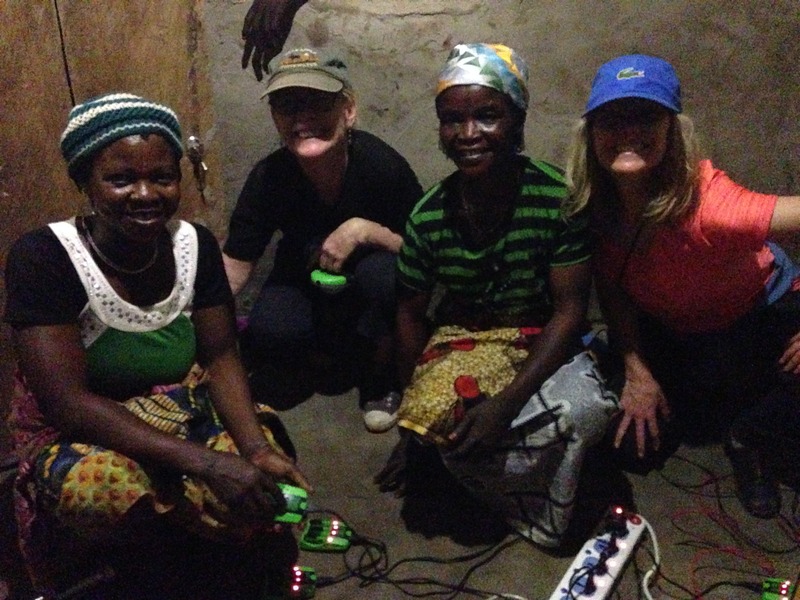 After this morning, we’re pretty sure the residents of Yakura have learned that Salamingas aren’t as apt at dancing as we are at installing solar panels. 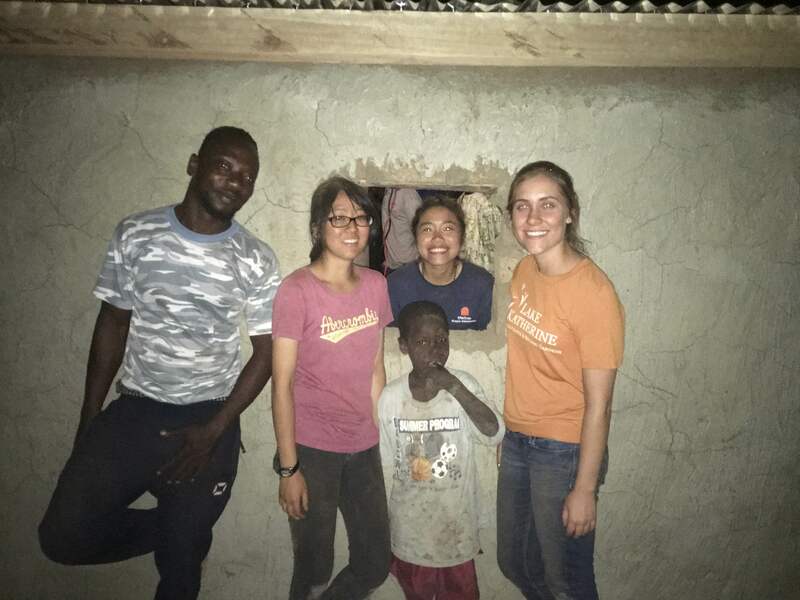 We’ve really enjoyed getting to know everyone in Yakura and watching our entrepreneurs, Ayi and Hawabu, grow as leaders in the community. 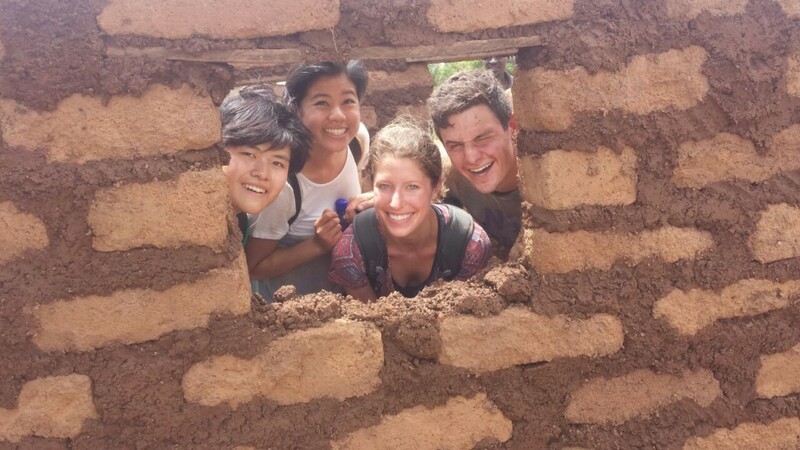 Below, our team members reflect on some of our most memorable experiences in Yakura. Paul: One brief image from opening night, emblematic of that night as a whole, has stuck with me. A Fulani man showed up about an hour after our 6:30pm opening time. His compound, the most remote in the village, lies more than half a mile from the solar center (I remembered him specifically because of our walk to his residence during lantern distribution). He bought his batteries and left within two minutes. 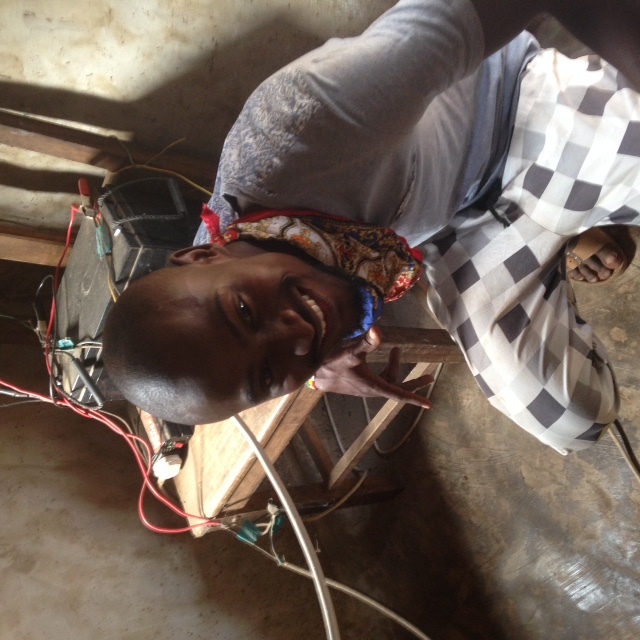 We watched from about 10 feet away as Ayi and Hawabu installed the batteries, took his money, and gave him change. That was it. No ceremony, no outpouring of thanks. Just a simple transaction. At that moment, I thought to myself: this is the point, this is exactly why we’re here. This kind of commerce didn’t exist in Yakura and now it does. 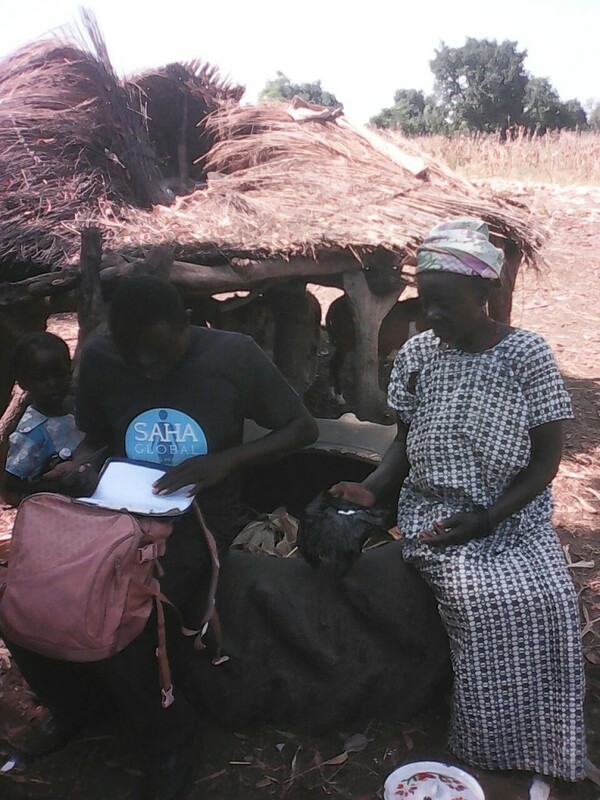 We then checked in on this Fulani man’s household this morning during monitoring: he had no questions for us and he reported that he’d been using the lantern for additional cooking and working time at night. His life hasn’t been radically altered: his family remains beset by many of poverty’s harshest challenges. 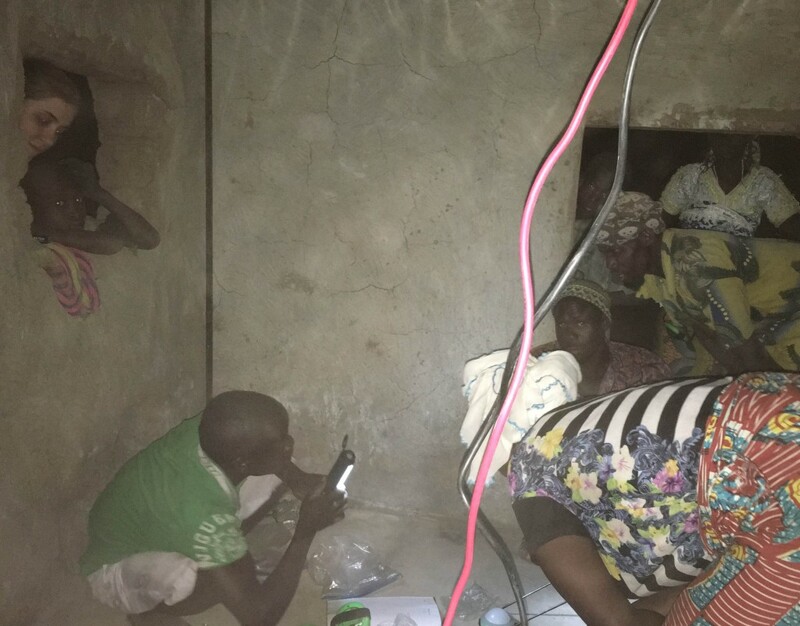 But this family now has a few extra hours of productivity each night without the adverse health effects of using a kerosene lamp. And those few hours matter. 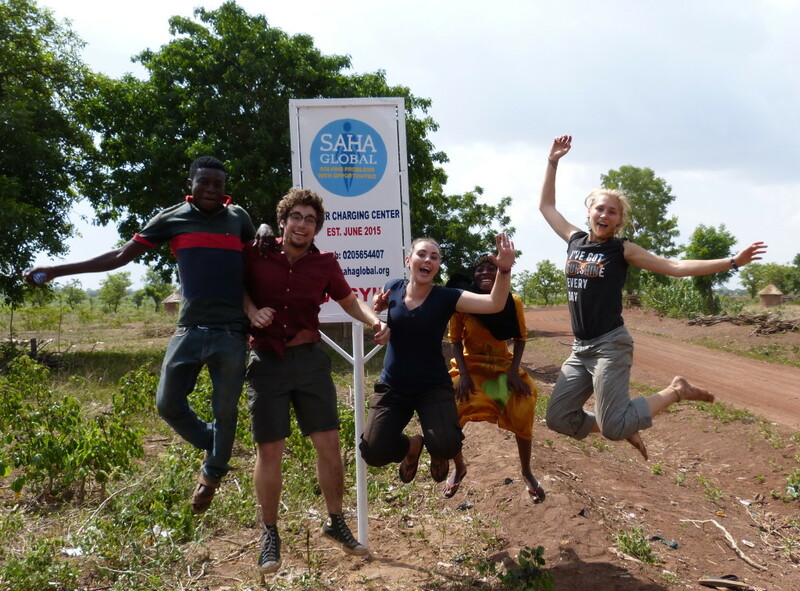 My experiences in Yakura and, more broadly, the Saha business model have taught me something about how best to enable communities to develop. Whether you’re distributing batteries or billion-dollar aid packages, it’s best to empower rather than instruct, to collaborate rather than chastise. Cassie: The monitoring process these past few days taught me so much in my design thought process. As a future engineer, much of the work I will do will involve products for others. Following up on your product is a really important aspect of the process I had never given too much thought to until now. Working with the women multiple days after opening night to see how sales are going and work through any problems they have encountered was both encouraging to me, to see how well they have taken the business, and to them as they have continued support for the next few years. Ending our time with the the Yakura community with some dancing was the perfect way to conclude such an incredible experience. 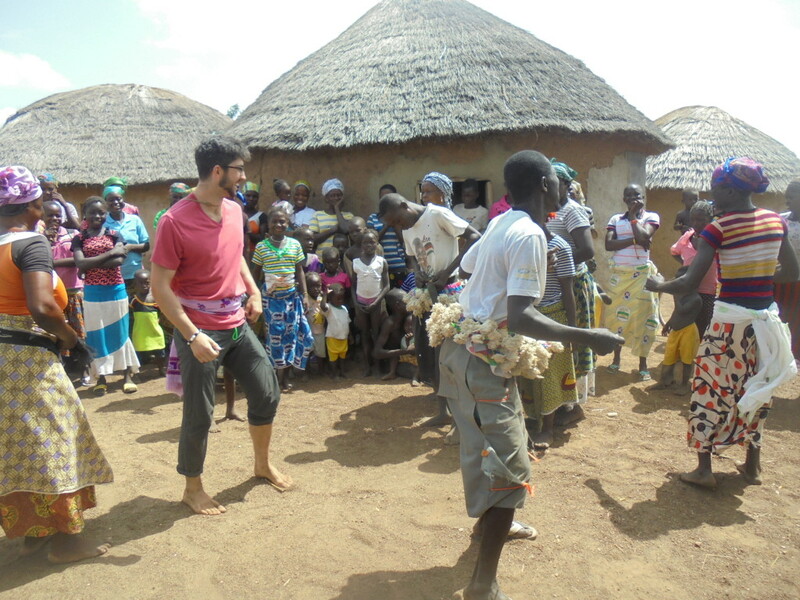 There was one moment when I was dancing with the women and all of the sudden they all got to the ground dancing so I joined, but they all stood up as I stayed. I’m pretty sure they were making fun of me, but it was all in good fun. I greatly enjoyed learning some of their dancing, a trade off of sorts, for the solar business we shared with them. I look forward to continued success in the women’s solar business and hopefully a dance with them again sometime soon! 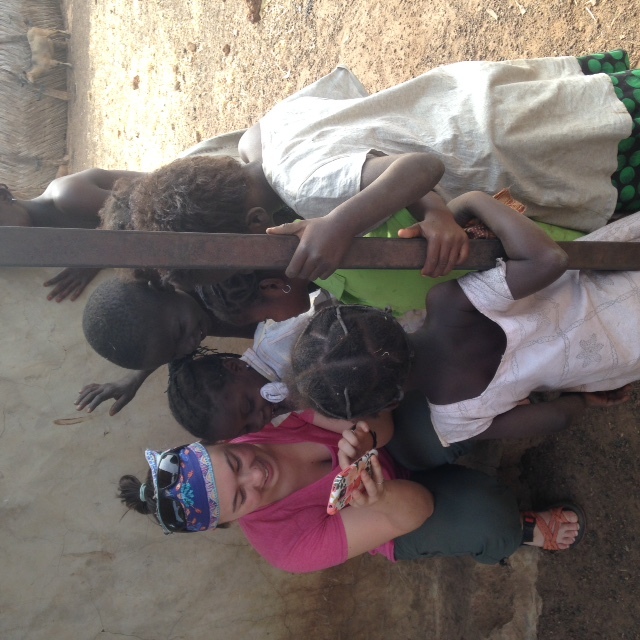 Dannie: Leading up to this trip I had learned numerous pieces of information about poverty and the various methods by which people look to aid those in need. However, despite all the knowledge I had accumulated there is, and always will be, vast amounts that I will never know. 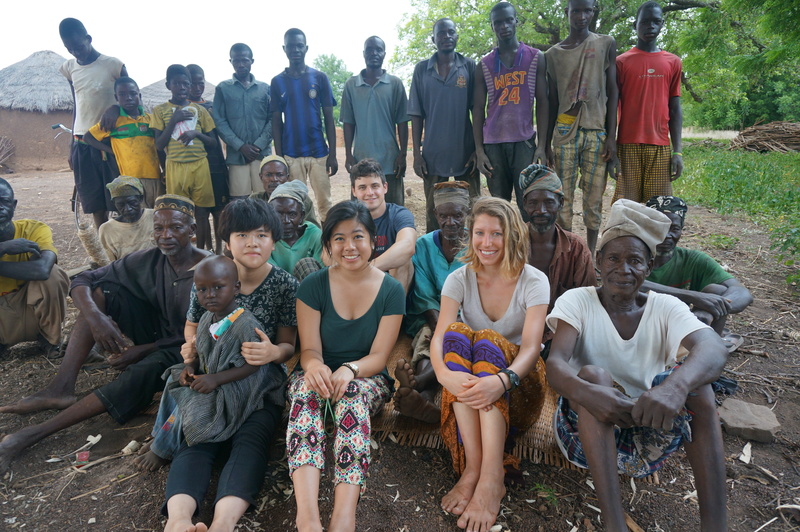 When I walked into Yakura for the first time, in fact, when I walked into the village of Takpili (our first village visit: part of training in which we monitor a previously established business) for the first time, I was nervous. It’s funny because you wake up every day and you want to change something, make someone’s life better, make the world a better place then you had seen it the day before; but when I walked into these villages everything I had learned became real and the people , although always willing to throw a joke your way and a smile to follow, they are suffering. I didn’t know how to cope with everything and it never fully came together until opening night and today when we left our village for the last time. We watched as people brought their lanterns to the charging center for the first time, it wasn’t as if anything different had happened in the village, and that was the beautiful part. 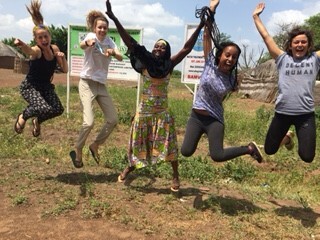 Paul, Cassie, Sharifa (our translator), and I with the help and support from Yakura and our incredible entrepreneurs, successfully implemented a new business that did not change day to day life in the community. This is crucial to the success of the business as well as the consistent monitoring that Saha will continue to do in the future. Today we were able to dance with the community and joke with not a worry in the world about the success of the business in the future. 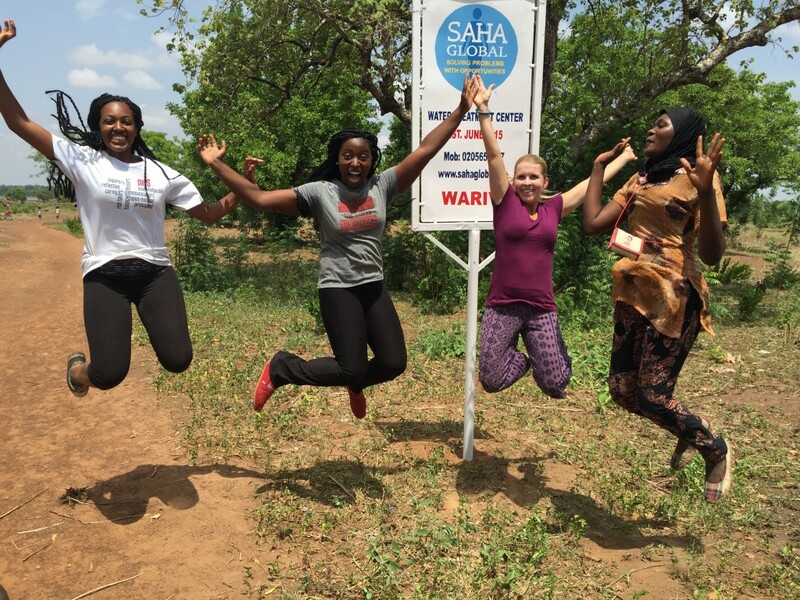 Not only are the women extremely intelligent but Saha will be there every step in the way. If I could tell the girl who walked into Yakura on the first day, nervous if waking up everyday hoping to make a difference was enough, what I know today, I wouldn’t, because I thoroughly enjoyed calling Kate every single day annoying her with questions :)…thank you to everyone who has helped us through donations and support, you were crucial in establishing a solar charging center in Yakura. 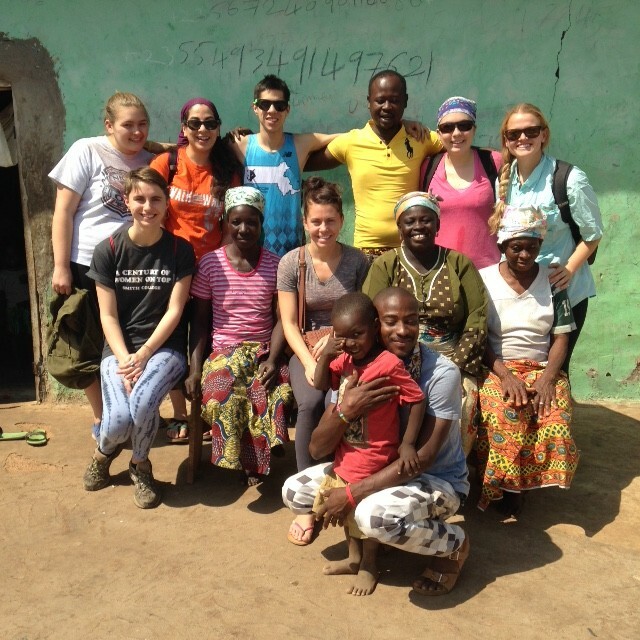 We have had a very eventful first couple of days in our village, Jangbarayili! 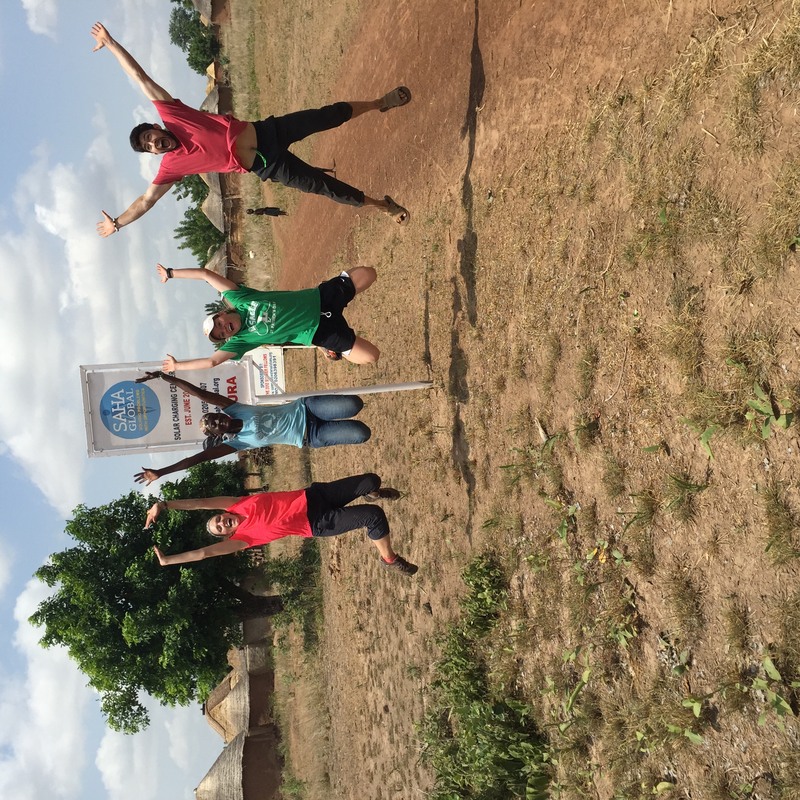 Our first challenge was to pronounce the name of the village…a task we are continuing to work on. We set out early morning on the first day to greet our village. At 6:00am we left with our translator to get the engine fixed to make our voyage. We waited 2 long hours for the repairs to be completed and then were hopeful to get going. As we were driving we had our first run in with the Ghanaian cops, not once…but TWICE (within 5 minutes of each other we might add). Finally, we arrived and were greeted with children fighting to hold our hands, so much so, there was one child per finger. This is when we knew this would be a great village to work with. 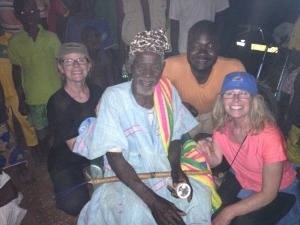 Trying to break free from the kids’ grasps we met with Chairman Yaya to seek a meeting with the chief and elders. The chief was out farming, so we busied ourselves by trying to find the crocodiles known to lurk around the dugout. Once the chief returned, he and the elders were already seated and waiting for us to pitch our purpose of working with them to create a solar power center and business to be run by respected women in the community (the same model that was implemented by Saha Global for the previous water business). 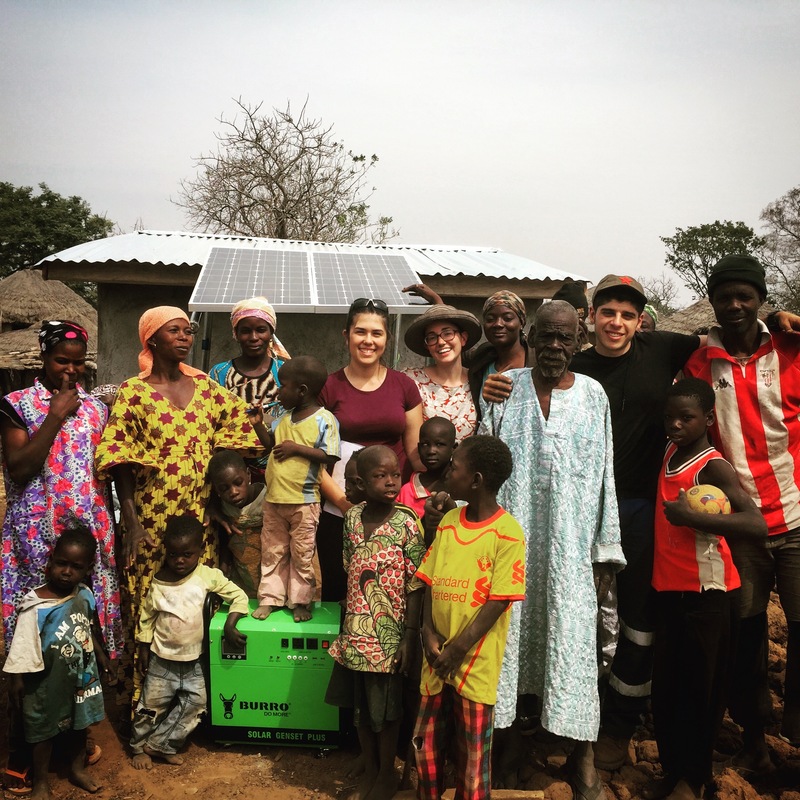 They accepted without any hesitation and even said “No was not an option.” They were gracious for the opportunity to bring light to their village and we were excited to stat working with them! We woke up the next morning eager and hopeful for the day ahead. 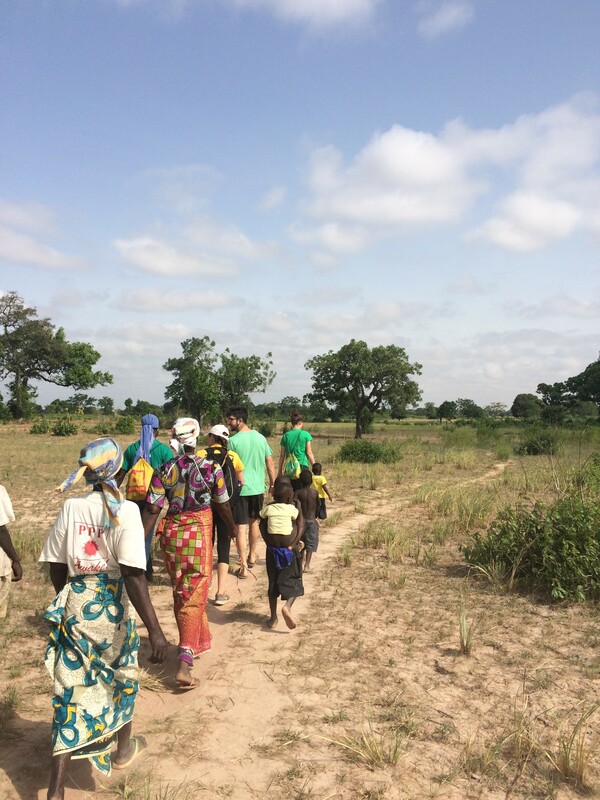 We ambitiously left to gather and purchase ALL the supplies that morning so we could prove our commitment to the village. Unfortunately, we ran into unexpected complications in the process. For instance, we had no idea what the items should cost in GHCs, and did not know which items could be bartered for or what item had set prices. We also had to go many different places to cut the wood because some businesses ran out of power. 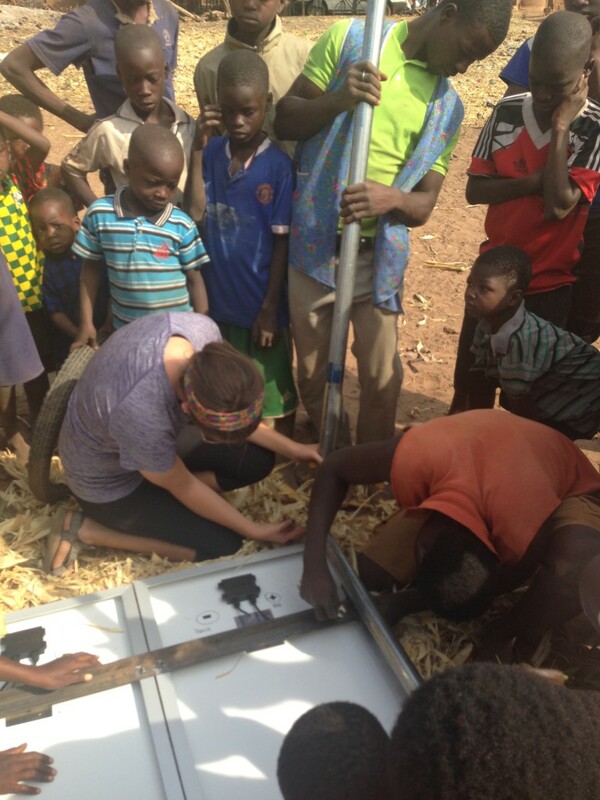 After many stops and learning experiences, we got most of the supplies and were pleasantly surprised by how many people in the community had gathered to work and how much they had already accomplished in building the structure. 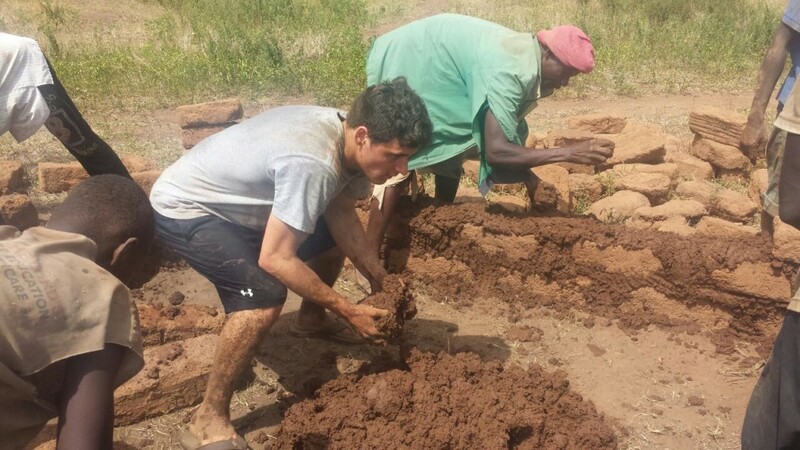 The men in the community taught us how to make mortar by mixing water and clay in a pit, so we all literally jumped in to get our hands and feet. Everyone helped out and even the little kids made their own assembly line carrying little piles of mortar to connect the bricks. In no time at all, it was finished! Day three, we started on the roof with a local carpenter. Since the carpenter was an expert, there was little help us or the community could give him, so we took the opportunity to get to know the women entrepreneurs. 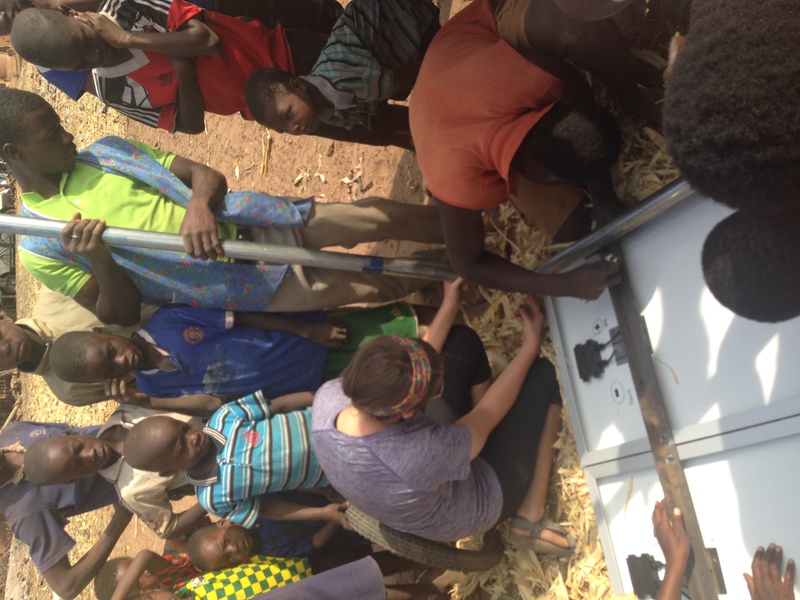 We asked them questions about their water business as well as going over their solar business that was soon to come. They even gave us a chuckle with a funny story about a spider who thought he could be oil in a pot. The funniest part was not the story itself, but the women acting out the scene complete with shouting and wiggling her behind. Another team member bonded with the boys playing soccer and another brought together the community with her Ukulele. At the end of the day, we accomplished all of our goals and even more! We are now ready to tackle each new day with the village and all the challenges that will arise. P.S. 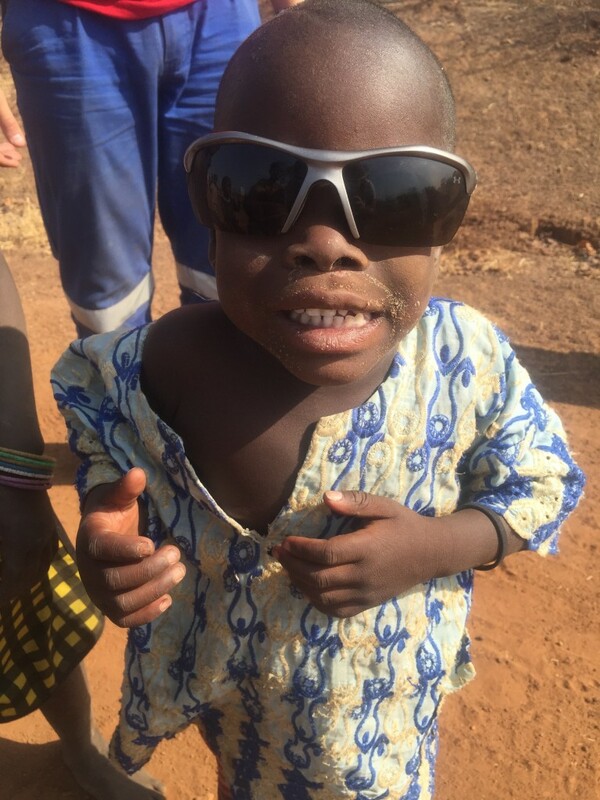 Drought is alive and well in Ghana’s rainy season. Fortunately, it has just started pouring as we type. 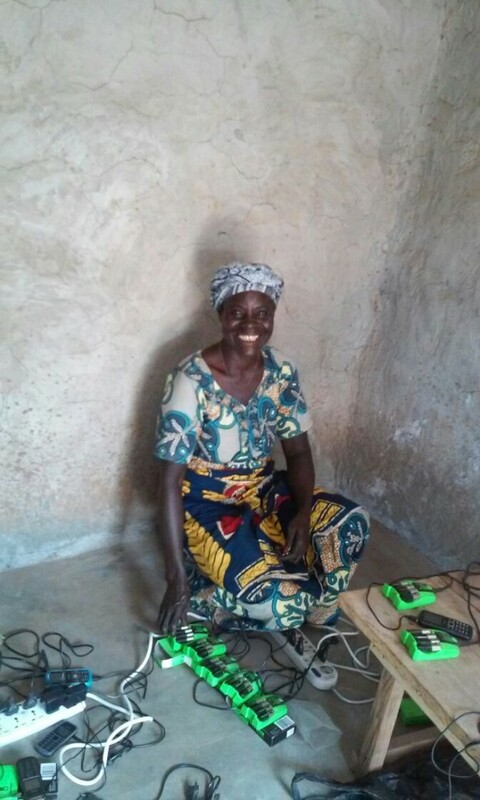 Ramatu is one of the business owners of both the solar and water businesses in Nekpegu, a small village located about two hours outside of Tamale. She was born and raised in Tohinayili, which is another Saha partner village in the Northern Region of Ghana. 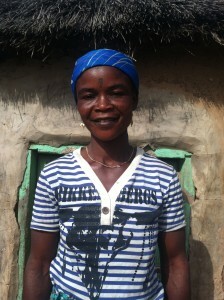 She later got married to her present husband in Nekpegu and has lived there ever since. She has 6 kids, four boys (two of the boys are a set of twins!) and two girls. 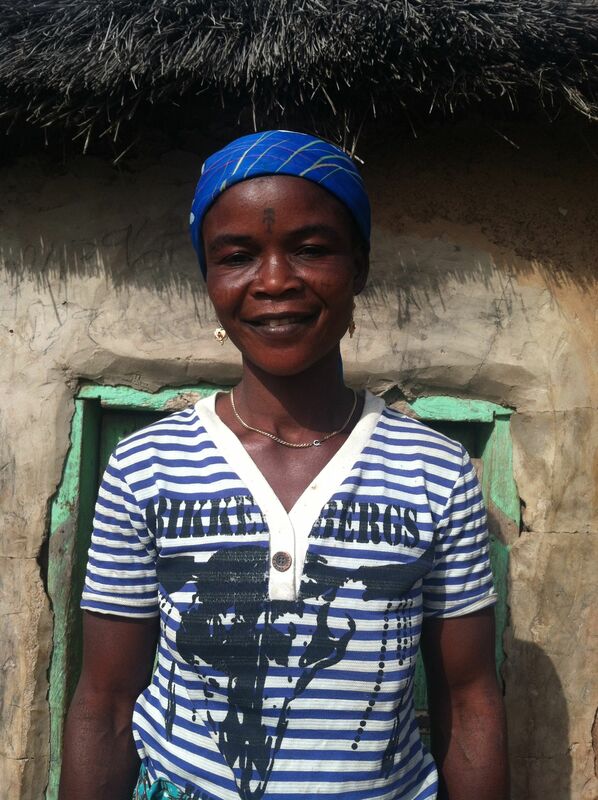 Alongside running the water and solar businesses in her community, she farms groundnuts, okra and shea nuts. She grinds the shea nuts to make shea butter, which she then sells in the market. 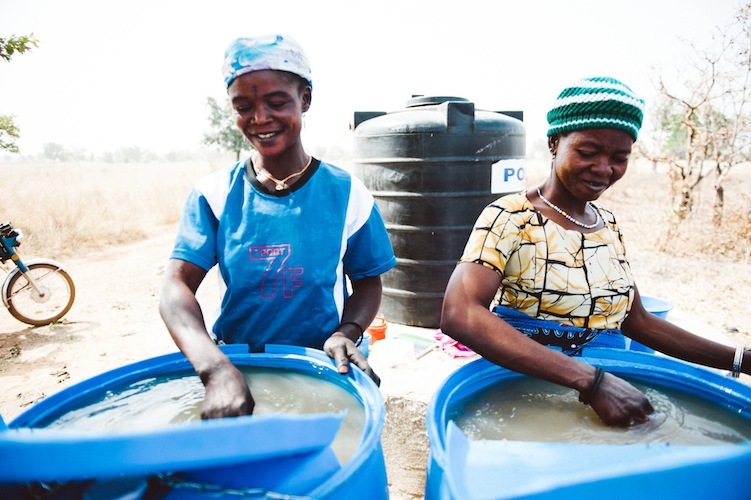 Ramatu and her business partner, Fatima, have been running the water business in Nekpegu for two years. 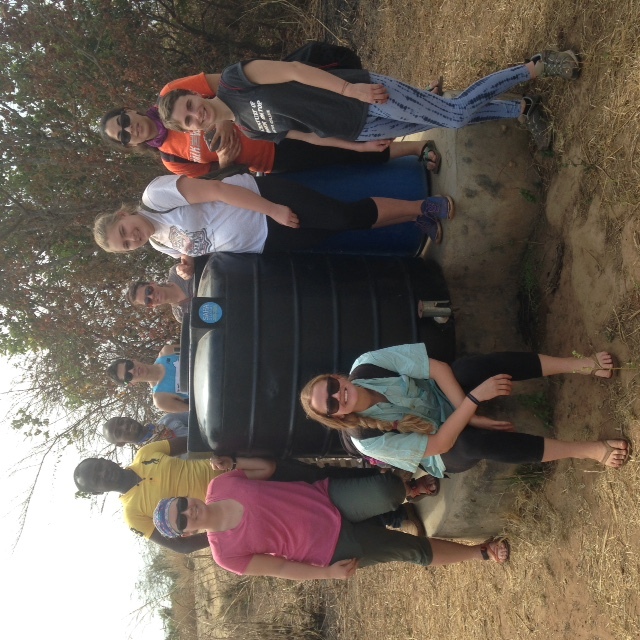 With the help of 2013 Winter Field Reps, Vanessa, Linda, Alexa & Julia, Ramatu and Fati were trained how to run the water treatment business to provide a source of clean drinking water to their entire community of about 300 people. 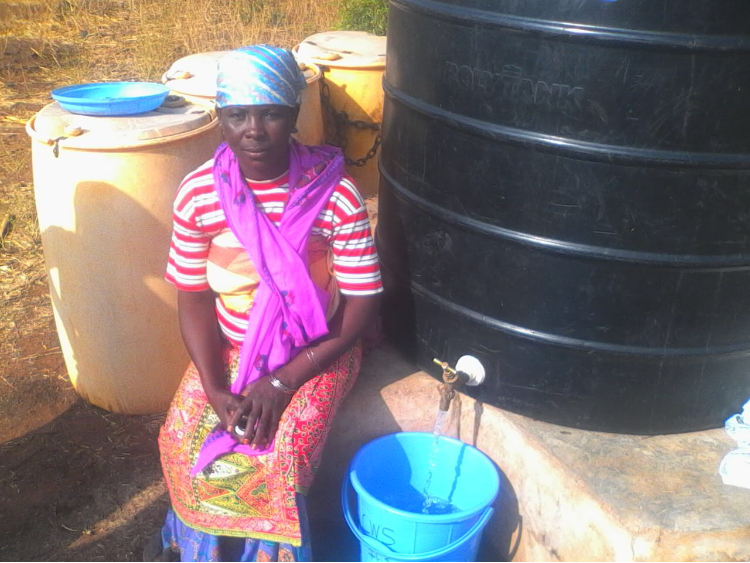 “People are cooperative and come to buy water anytime they treat water and make announcements,” says Ramatu. 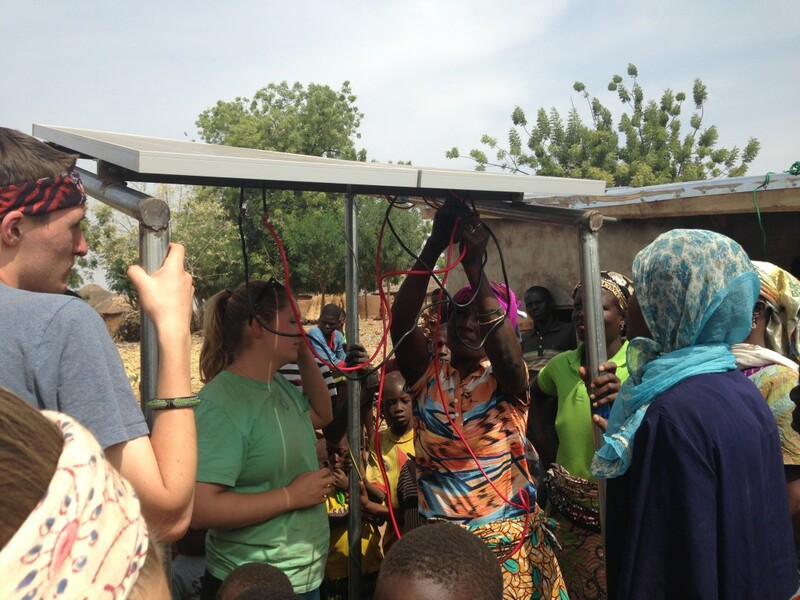 The solar charging business was implemented in Nekpegu just this past November by 2014 Fall Field Reps, Anne, Terry, Kerry & Mary. “Now our kids can study at night” Ramatu says. When asking Ramatu about the solar business she remembered the opening night of the solar center when they did a local dance, torah, with Terry and Anne to celebrate. 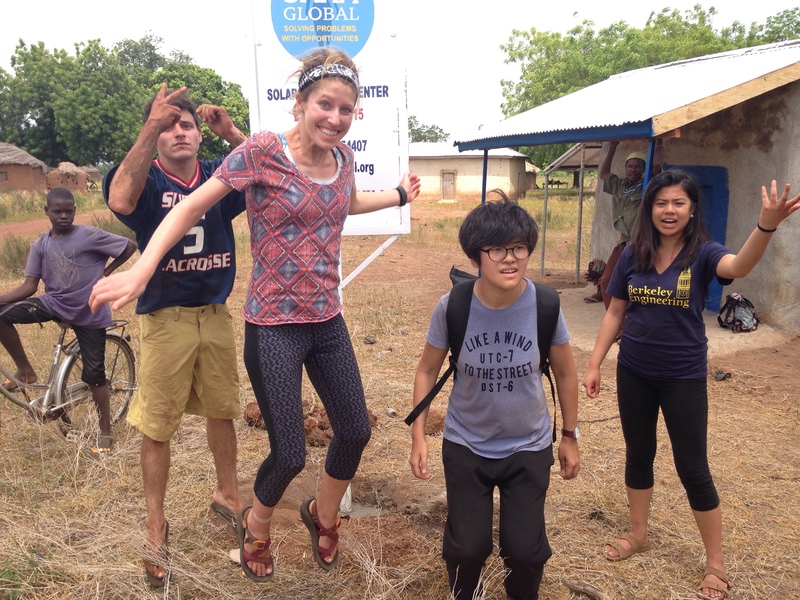 “I am so happy to make sales at the solar and water business!” she states. 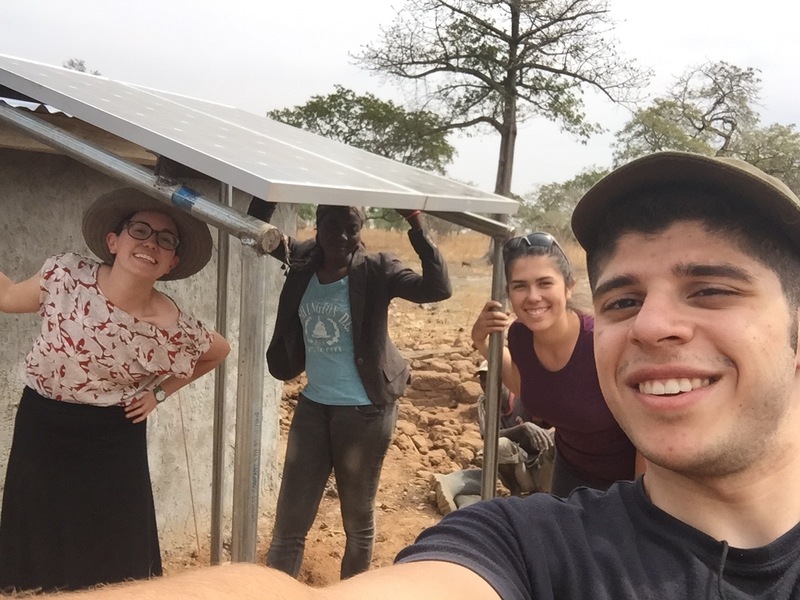 I was happy to see that our usage rate (the % of households with clean water in their safe storage container when one of our team members stopped by) was 73%. Over the past 7 years, our average has been right around 75%, so right off the bat I could see that February was a pretty typical month (we are constantly striving to get this number up, mostly through education campaigns in our partner-villages, but at the same time, we are also constantly adding new communities). Keep in mind, just because there isn’t clean water in someone’s safe storage container, does not mean that there is contaminated water in there! Usually the bucket is just empty. 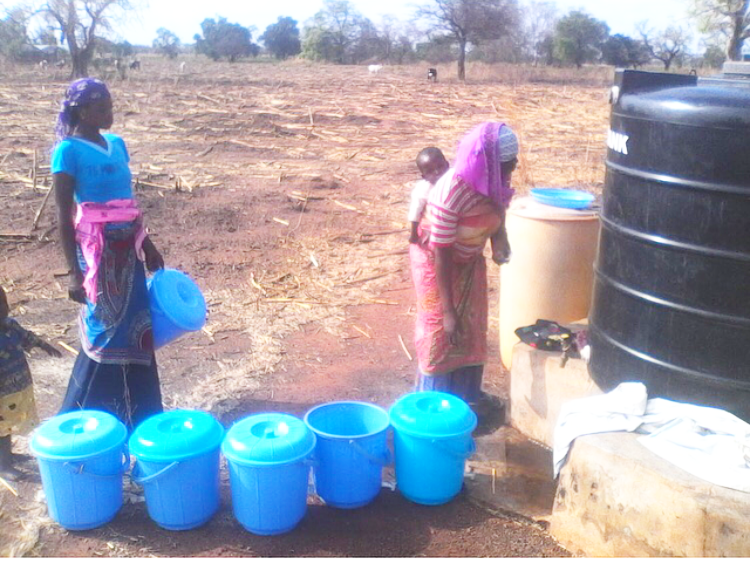 Some families may have just finished their water and haven’t had a chance to re-fill. However, for some it is because they aren’t frequently filling. 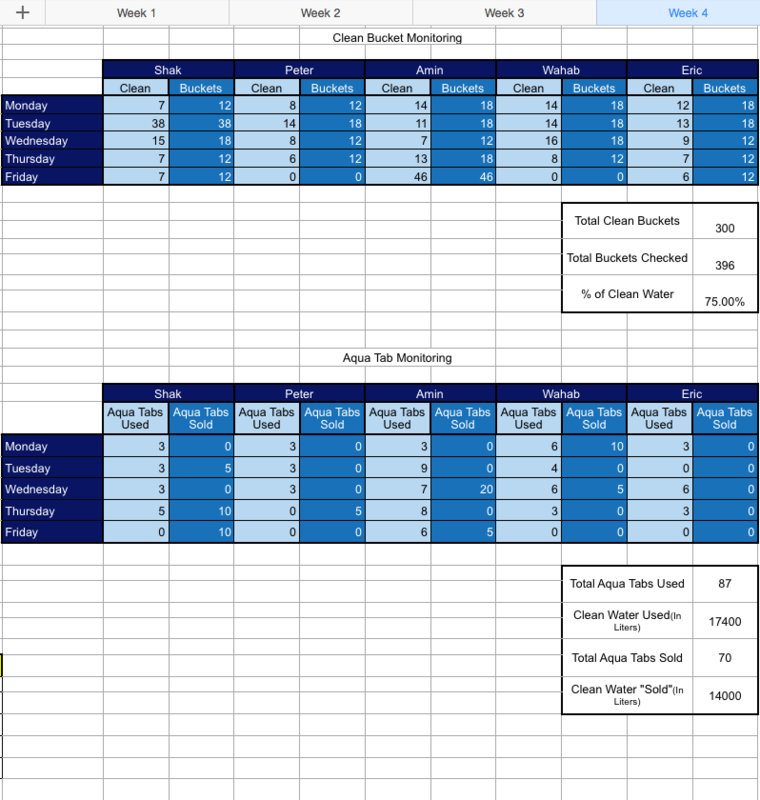 The “Clean Water Used” stat is calculated from the number of Aquatabs that the women reported having used each week. Each Aquatab treats 200L of water, so we just multiply the reported number by 200. 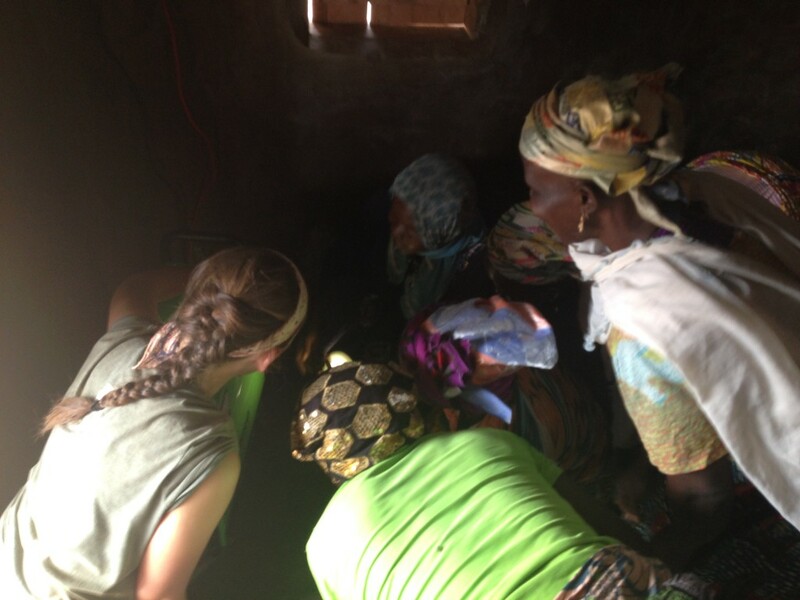 The “Clean Water Sold” stat is calculated from the number of Aquatabs that the women bought each week. This number differs from the clean water used, because the entrepreneurs don’t always buy the same number of Aquatabs they use. Some women buy in bulk one month and slowly use the tablets over time, before making another big purchase a few months later. Others may use 2 in a week but then buy 3 or 4 to replenish their pile. Each business owner works out their own system. 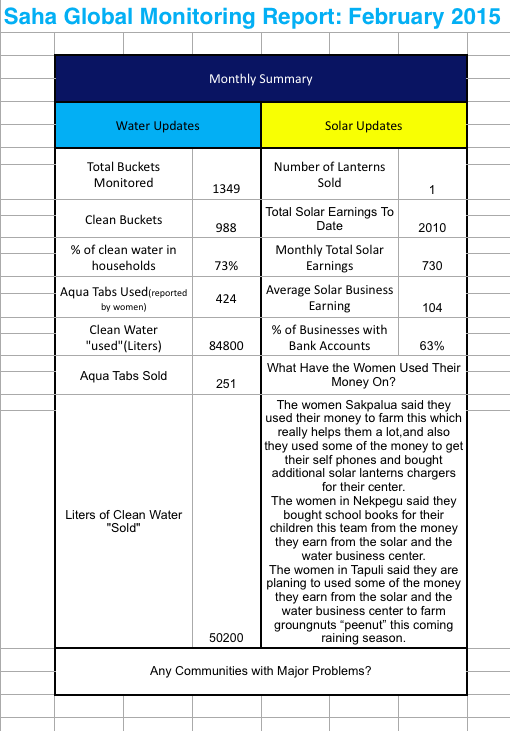 The “Number of Lanterns Sold” indicates how many lanterns the solar business owners have sold to members of their community. 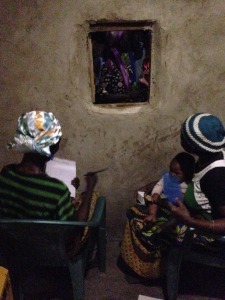 During implementation, each family receives 1 lantern for 1 GHC, and they can buy more at market-rate if they would like. The women buy the lanterns from Saha at cost and then choose to mark up the prices as much as they would like. Unfortunately, over the last couple of months our lantern supplier has increased the price of the lanterns dramatically, so the ladies haven’t been making many sales recently. Lantern sales used to be a big money maker for the solar entrepreneurs. 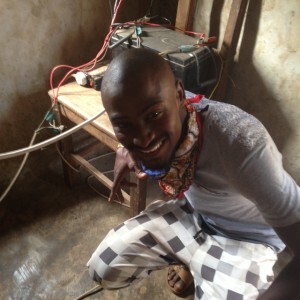 The “Average Solar Business Earnings” is the total earnings (730 GHS) divided by the number of villages visited. This month, our team only made it to 7 out of the 8 businesses. All revenue is reported in GHC. Below is an example of the weekly data table that Wahab fills out, based on the information that our team collects in the field. You can access the actual excel files here – each week has it’s own tab, with the monthly data summarized at the end. There were no big issues in our communities this month. Little things like leaky polytanks sprung up here and there, but those small issues are easily solved. 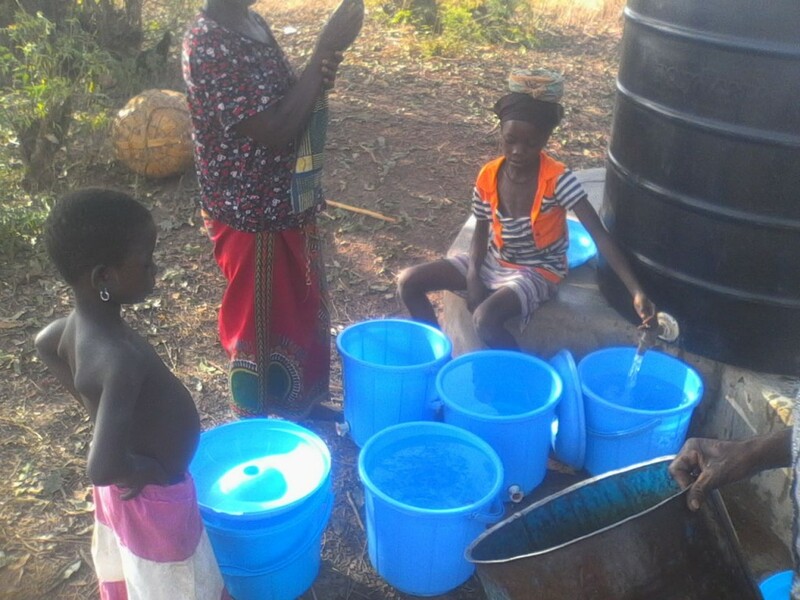 Some communities, like Wambong, reported slow water sales, but our team was able to work with the community and the entrepreneurs to get back on track (see the last photo below). The biggest challenge this month was getting our team back on track with their new monitoring schedule after the Winter Global Leadership Program. As I mentioned earlier we only made it to 7 solar communities in February. Since most of our solar businesses are less than a year old, each community should have been visited 3-4 times this month. After receiving the week 3 report from Wahab, I noticed this problem right away and discussed the issue with our Operations Manager, Shak, during our weekly check-in. Shak and the rest of the team then discussed their new schedules during their next staff meeting and were able to figure out how to re-arrange their weeks to make sure new communities were getting visited more frequently! Below are some pictures from the Field from February! Stay tuned tomorrow for our March monitoring report! PS – remember, for monitoring reports from before 2015, visit our old site here. 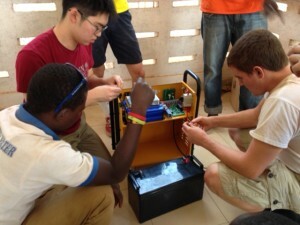 The Nekpegu solar center is bumpin’! 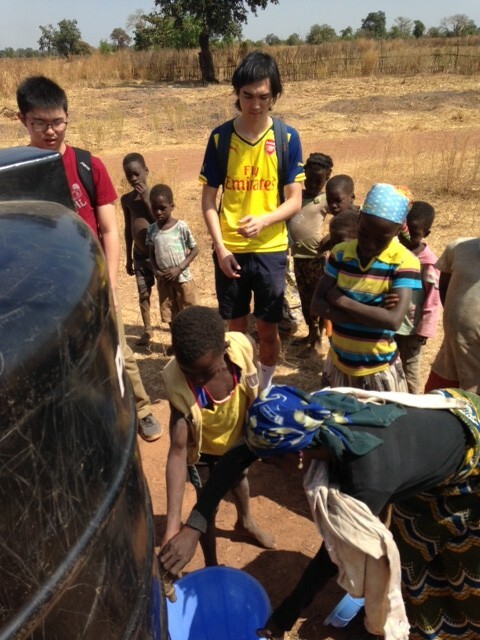 After a month of low water sales in Wambong, Shak and the women met with the community chairman. Chang-Chang suggested that he make announcements at the mosque whenever she had water ready to sell, and he agreed. After the first announcement, the water center was BUSY! 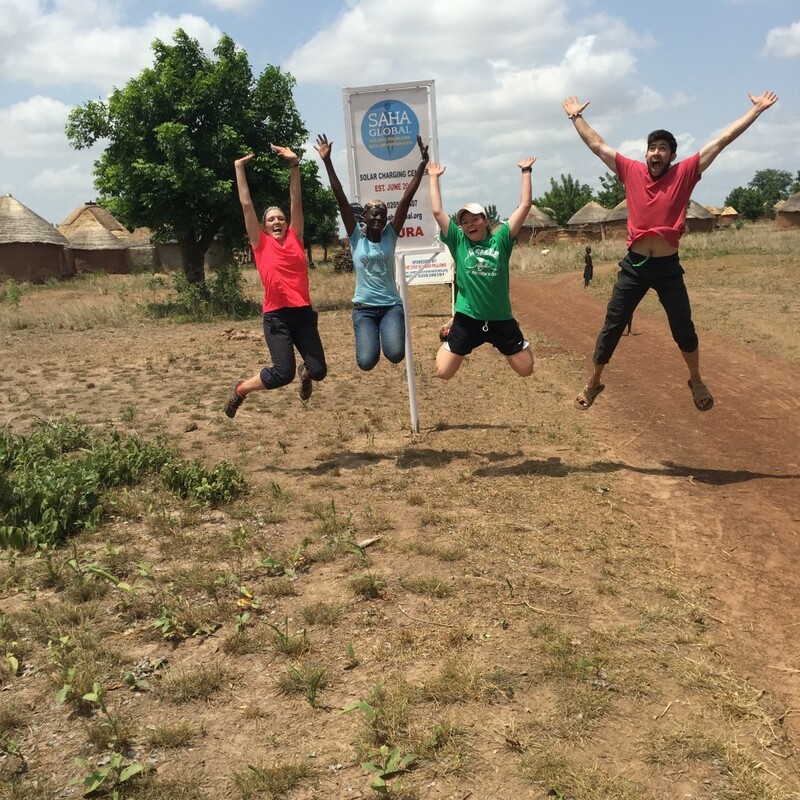 Tamale Day 2 – Off to the Village! 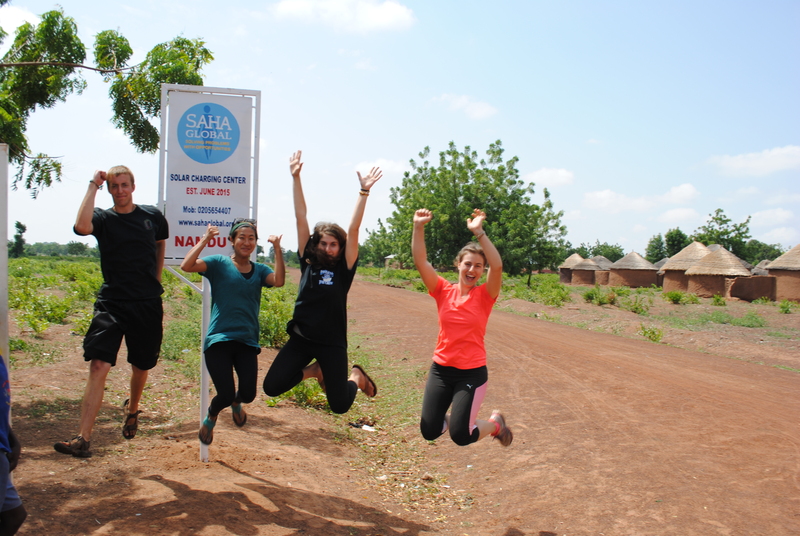 After ringing in the New Year with an evening of fireworks and a cultural dance, the Field Reps started off 2015 with their first visits to Saha partner communities! Water Teams TJ (Kiana, Julia, Jenni and Orlando) and Wahab (Aly, Sofia and Marlena) headed out the water treatment center in Gburma. 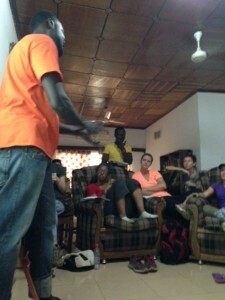 Team TJ and Team Wahab meet with the Gburma entrepreneurs and their families – including little Ibrahim! 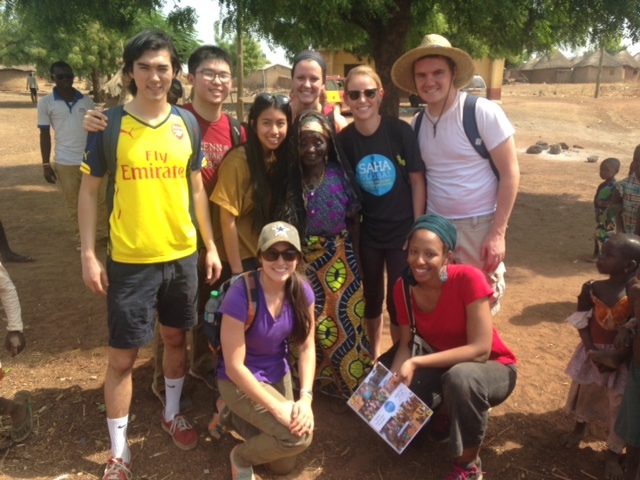 … including, of course, Salamatu’s grandkids! 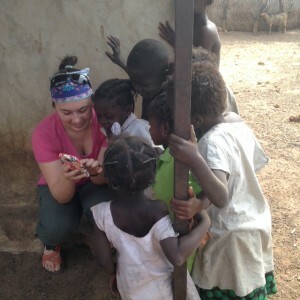 Kiana shows Chani kiddos a picture she snapped. District Manager Wahab showed the team a solar center in action – he helped set up both the water and solar businesses here in Chani. 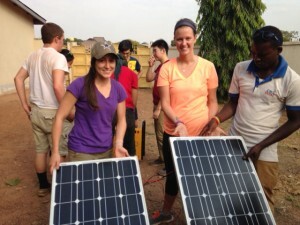 Wahab shows water field reps a solar center in Chani. Wahab has been coming to this community for four years now and is “proud of the work that they do”. 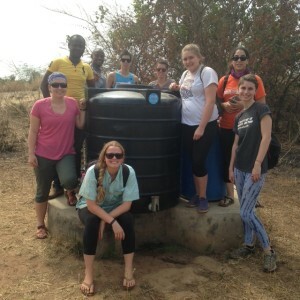 Then it was back to Tamale to practice water purification techniques! 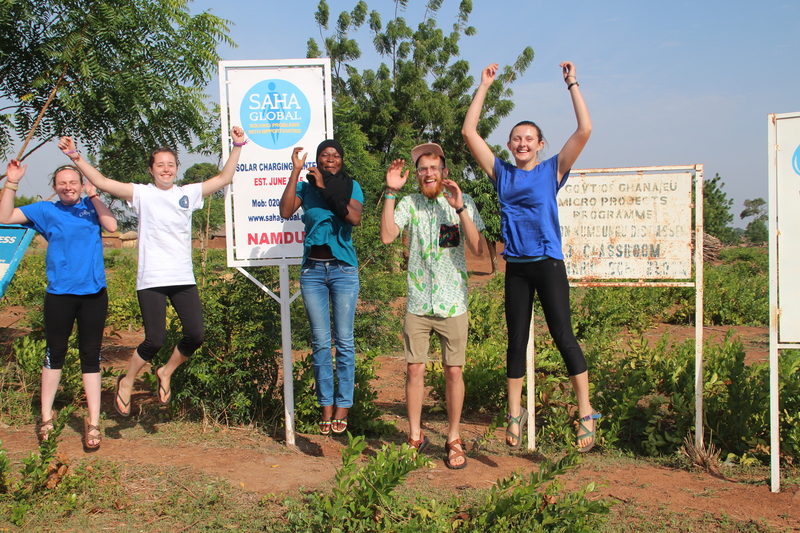 Meanwhile, teams Amin (Sarah, Marsha and Jake) and Peter (Paul, Julia, Matt and Kristina) headed out to Wambong to see Saha’s first solar center and also check out their water treatment business as well! 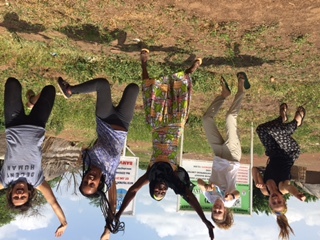 Salima, who runs the centers, greeted them and showed them the ropes. The Field Reps were able to sit down with the Chief as well. Saha’s favorited grandmother, Fati, also made an appearance. 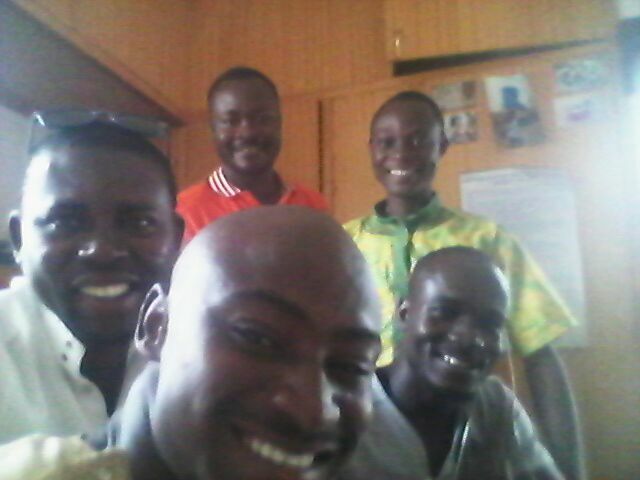 Back in Tamale, it was time to start learning the technical details of the solar business. 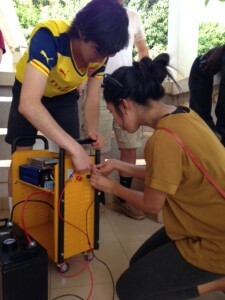 Field Reps spent the afternoon assembling their arrays, to trouble-shoot and to become more familiar with their set-up. 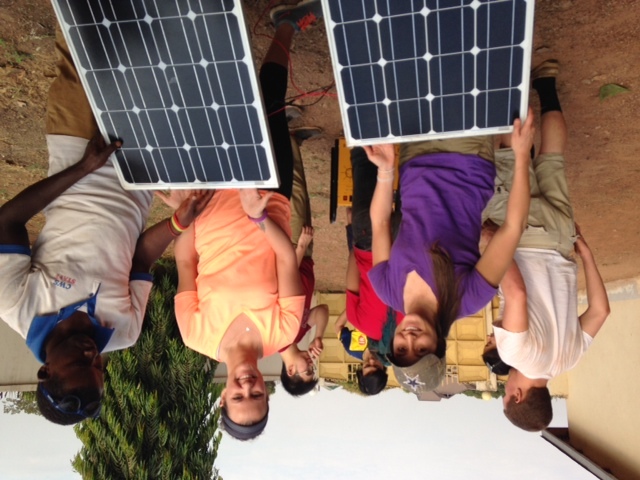 Sarah and Kristina work with Amin to assemble a solar array during training. 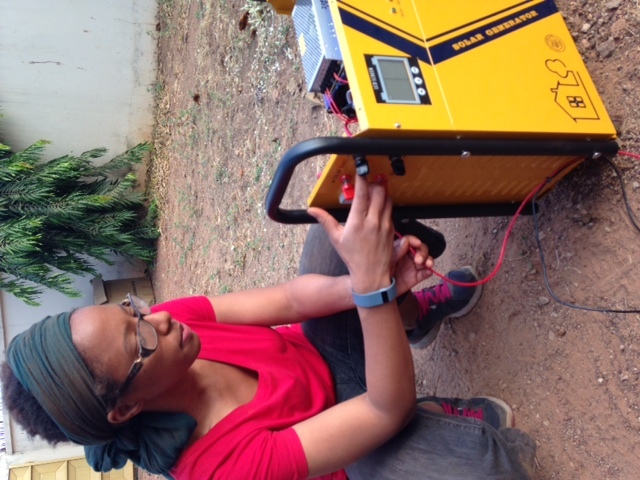 Marsha, on her way to mastering the Genset. 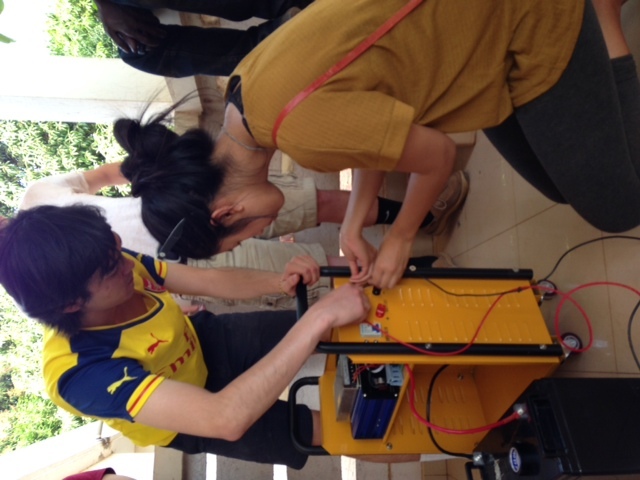 Matt and Julia hook up the Genset. 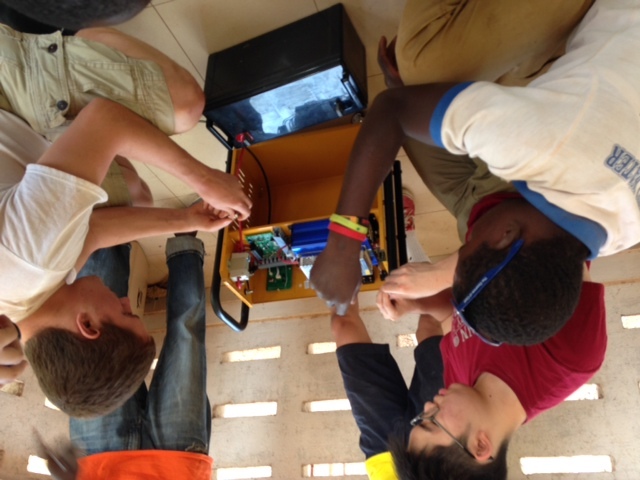 Amin, Paul and Jake hook up the battery during training. We finished up the day with a presentation from the Saha District Managers about the importance of Saha’s continued support for these villages. They covered everything from scouting new villages to common problems to the importance of monitoring, so that the Field Reps would feel prepped for their fist day of household monitoring the next day. A long but good one! 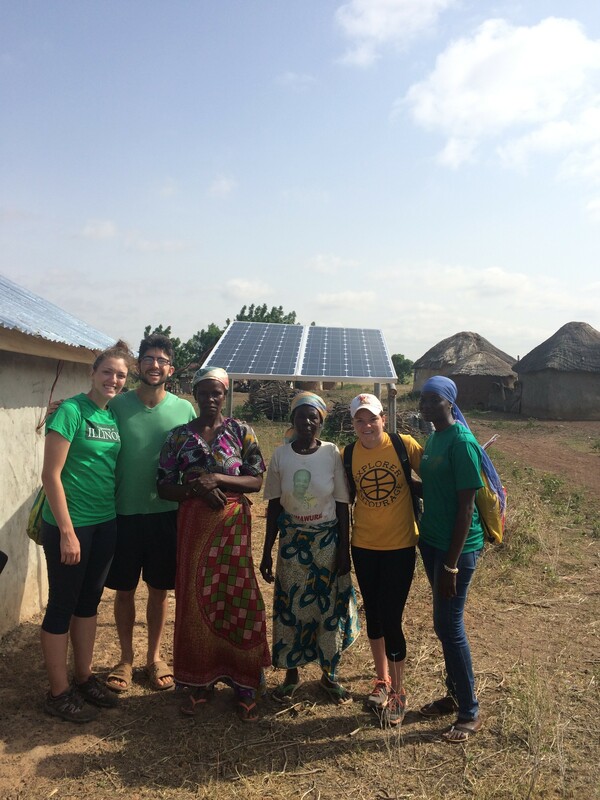 Terry, Mary, Kerry, Anne and Shak make up Saha’s Solar Center Project Team Shak! Due to “life and so it goes”, Kerry and Mary were unable to make the trip despite their successful contribution of considerable funds, and so they are very much with us in spirit here every day. 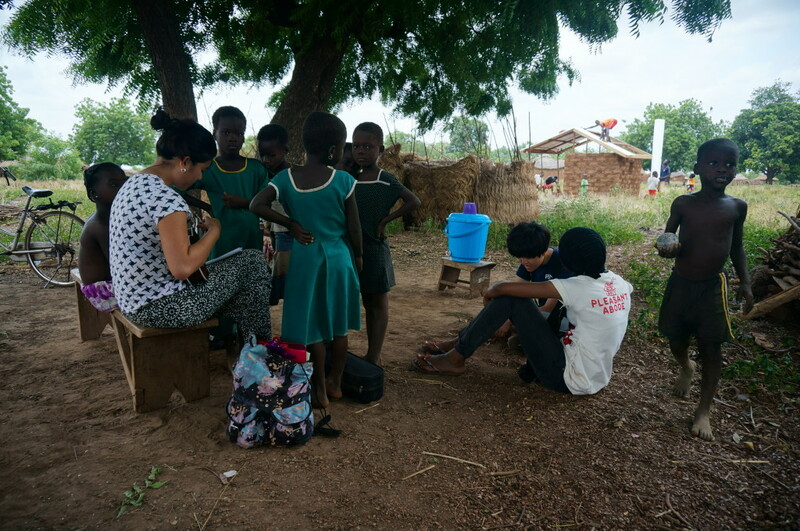 We have been assigned the village of Nekpegu which is about an hour and a half away from Tamale; The chief and elders were quite anxious to meet with us. The women entrepreneurs have successfully managed a Saha Water Treatment Center since 2013 and were happy to tell us about the positive effects on their health. 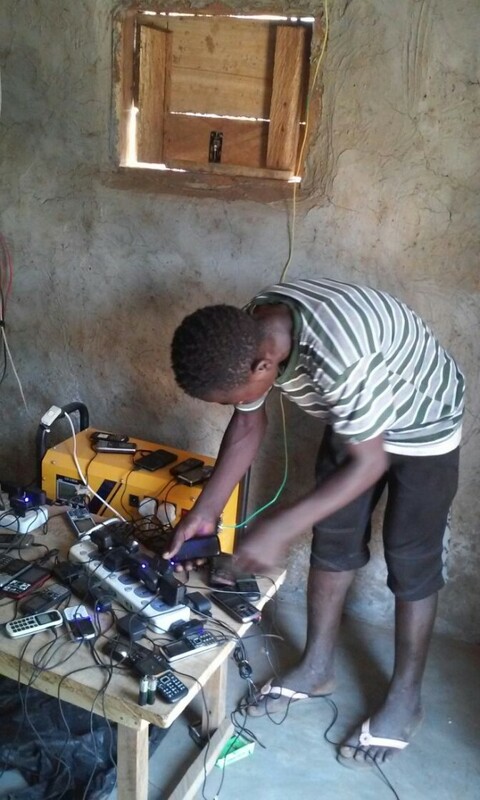 The chief’s son had seen Saha’s Solar Center in another village and was sharing his experience with the chief and elders. The Chief mentioned that it would be helpful for the children to study and for their night school, and offered the cooperation and assistance of the entire community. 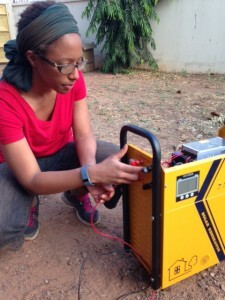 The construction of the Solar Center took a couple of days, the equipment was delivered and the training of the women could begin. 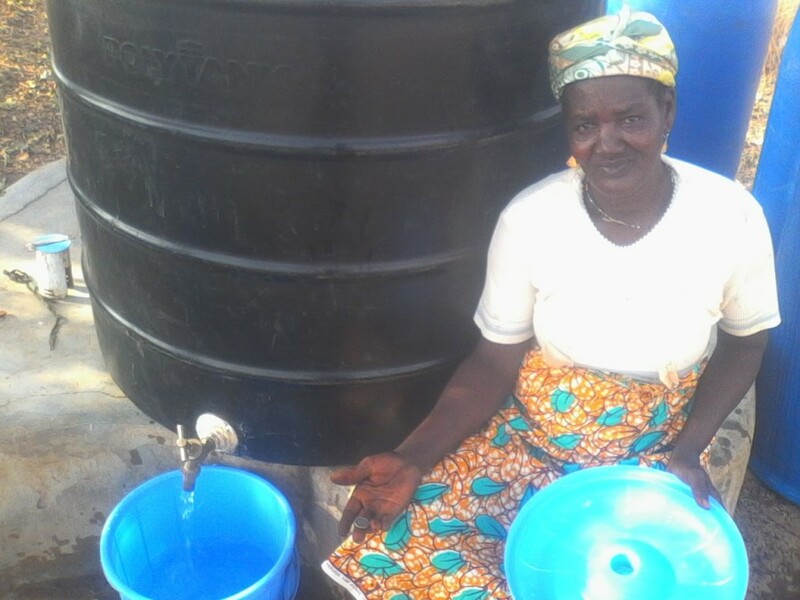 The village chose the two women who are currently running the water business, Ramatu and Fati, to manage the solar business as well. They learned how to hook up the power convertor, do some troubleshooting and how to manage the sales they will make from their new business. Lanterns were distributed household to household and we are now ready for Opening Night! Shak is our translator, but he is also project manager, carpenter, navigator, “fixer of everything” and now, friend.